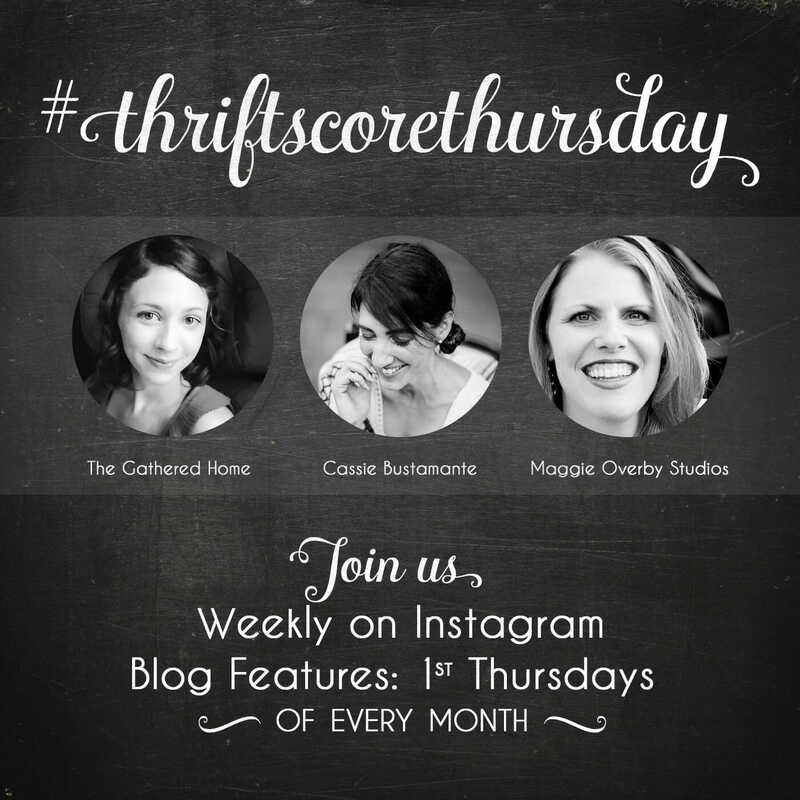 Can you believe May is already here and it’s time to show off my Thrift Score Thursday April Features? I just can’t. This year is flying by! By now, hopefully you’ve settled into our monthly blog post format, with weekly features on instagram. With these new monthly posts and features, we’re all being a little pickier as we have one month of thrifted finds to squeeze into a handful of features. If you are new here (first, hi! I am glad you’re here! ), let me explain just what #thriftscorethursday is. We want you to participate! Hit up your local thrift stores, craigslist, yard sales, estate sales, side of the road, anything! Thrifty doesn’t necessarily mean from a thrift store. We want to see your good deals, wacky finds and treasures and how you style them in your home. That’s right… I am looking for gorgeous photos of interiors with your finds styled to perfection. 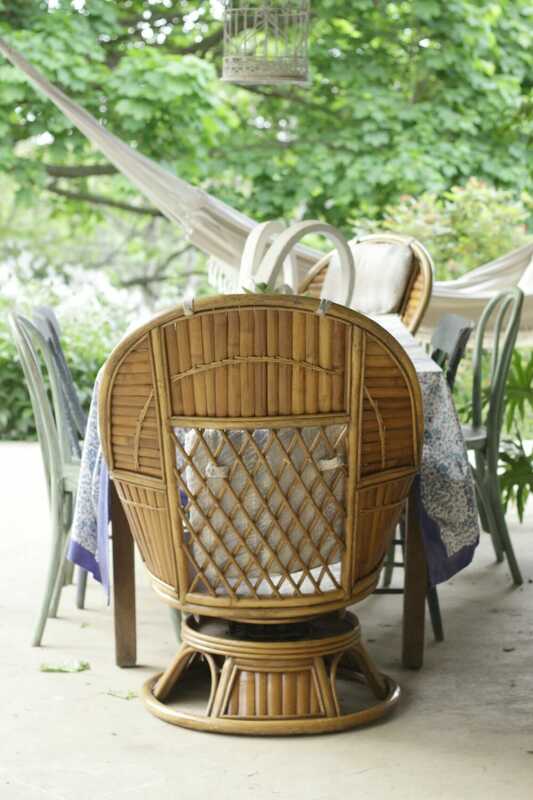 Check out this awesome pair of bamboo swivel/rocker chairs her mom gave me! Currently I stuck them on the porch, just because we have no room, although I have some plans for them in the future. Aren’t the backs amazing? They are in need of new cushions as the current ones are outdated. Whenever I get them in place, that will change. Now I’ve got 8 features to share with you today. There were so many I loved, and usually I try to keep it around 6, but I couldn’t help myself. First up, I wanted to share Rosie Case, because she has two finds I loved. 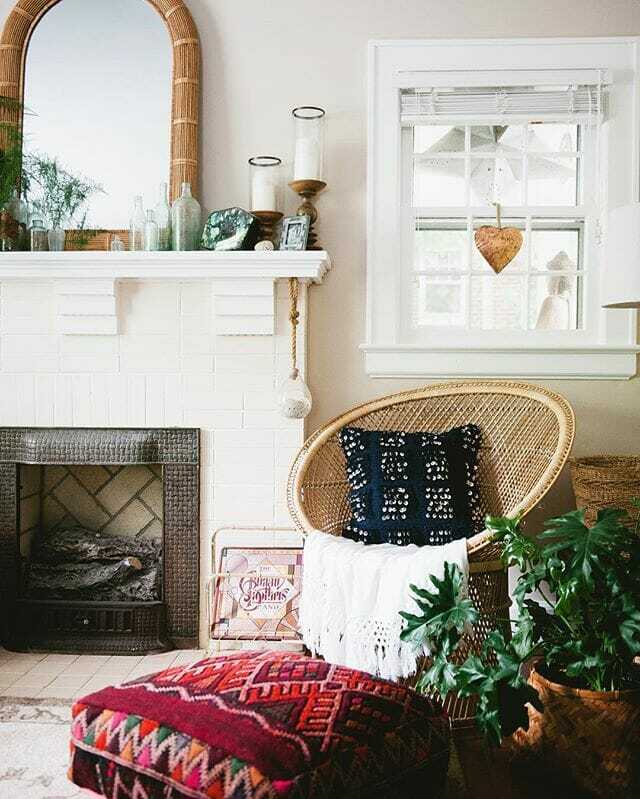 Her home is light, bright, and beautiful, yet so quirky and unique. She can do no wrong in my book. She shared this lion she scored and rested on her table, because that’s exactly where the king of the jungle belongs. She also shared this lip chair, and I will admit I am usually not a fan of the words “lip chair” when placed together. I imagine a chair in the shape of the Rolling Stones mouth. However, this sweet pink chair is glamorous, subtle, and lovely. 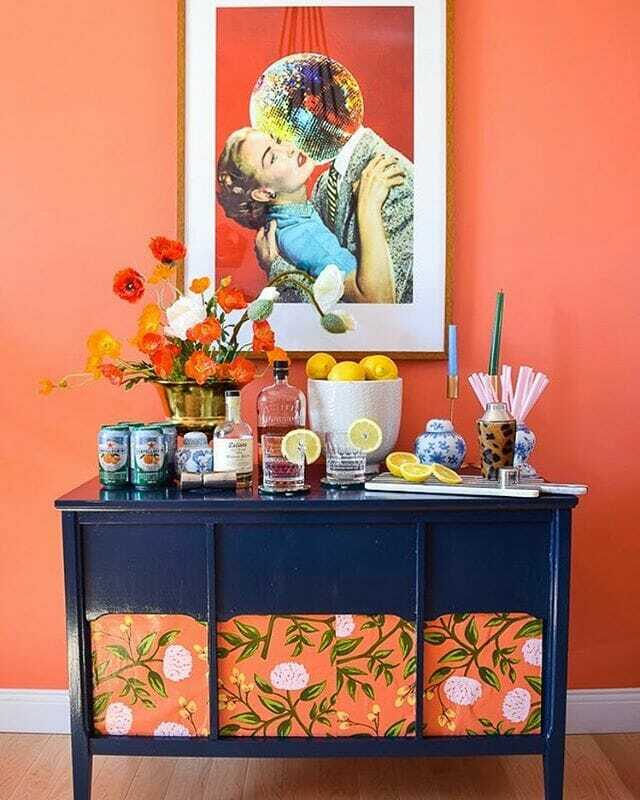 Ariel from PMQ for Two reimagined this sideboard that she found and I love the color paired with the floral print. Her style is always so uniquely fun! 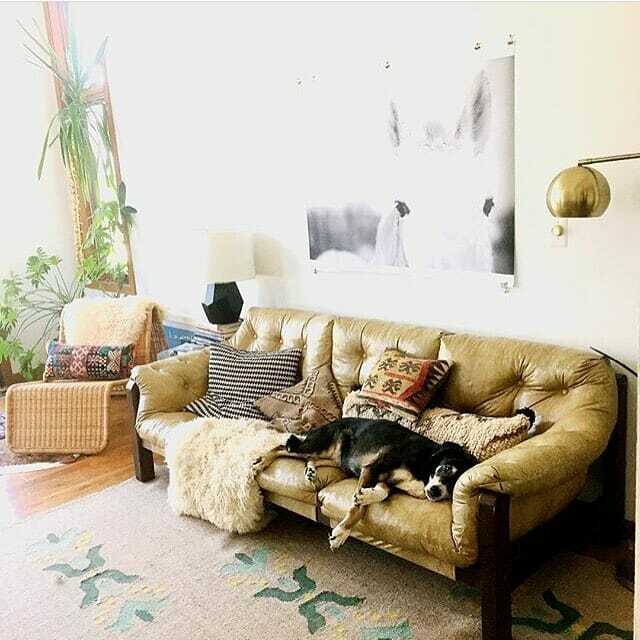 Emily showed off her comfy cozy midcentury leather sofa and adorable pup. Audrey, aka Queen of Plewtopia, found a brightly colored Mexican blanket. 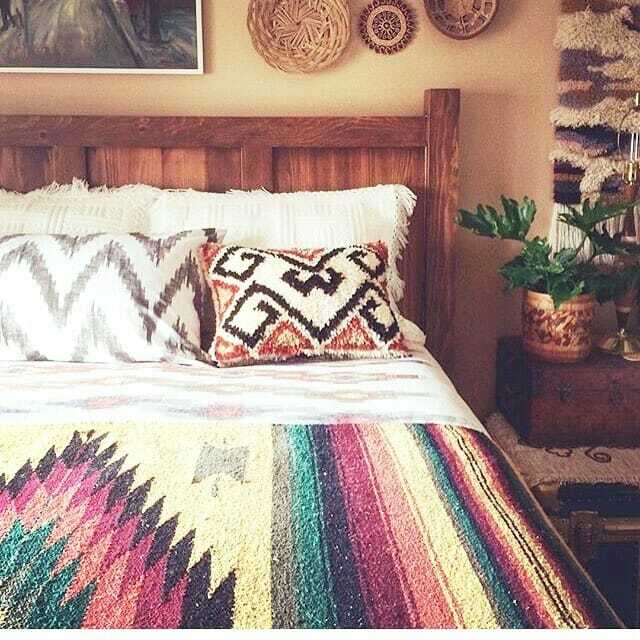 I love the pattern on this one, and how cozy it looks in this room. 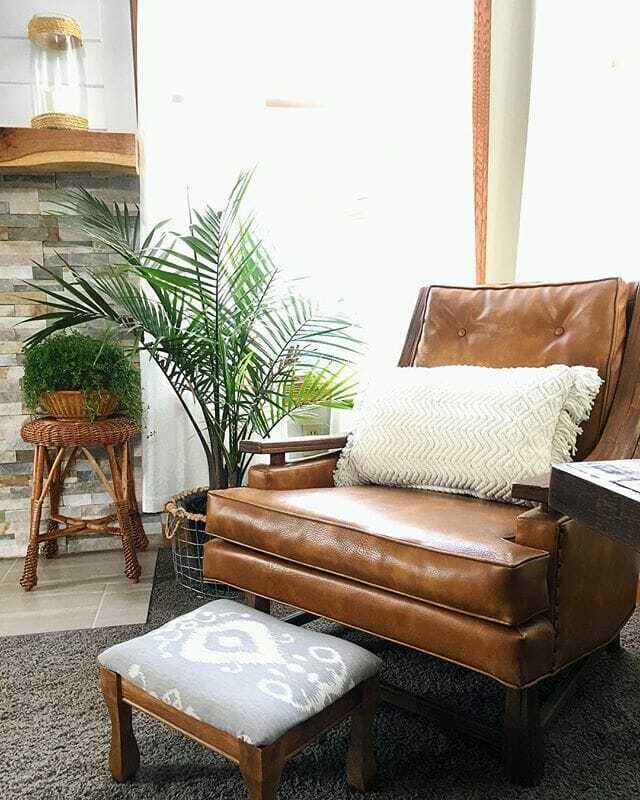 Laura scored this fantastic leather chair at her local Habitat Restore. 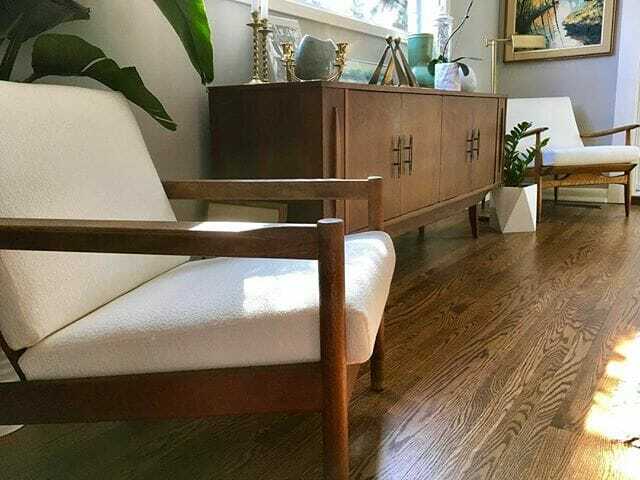 Let me tell you… last week I went into my own local Restore with Sarah Dorsey, and we saw SO many things we loved, including a pair of aqua midcentury chairs. Somehow we walked out not spending a dime. 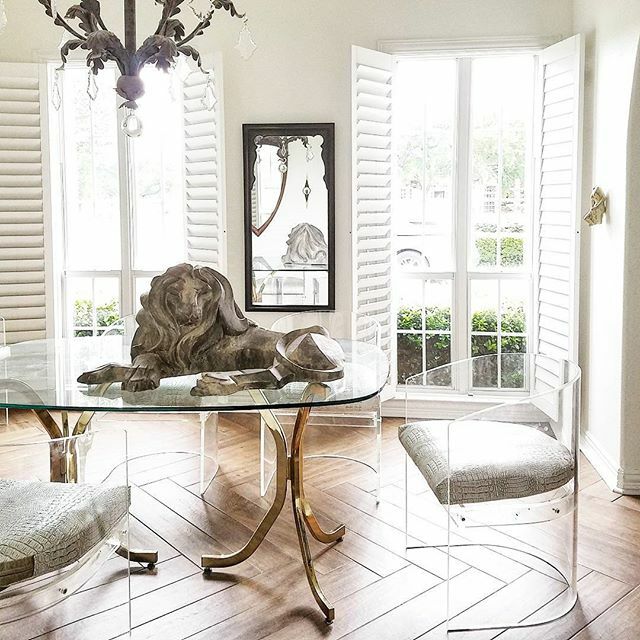 Speaking of chairs, Connie found a mismatched pair of MCM chairs and they look perfect next to her stunning sideboard! That’s all of my features for this month. Make sure you head on over to my lovely cohosts to see what they’ve found and featured this month as well! 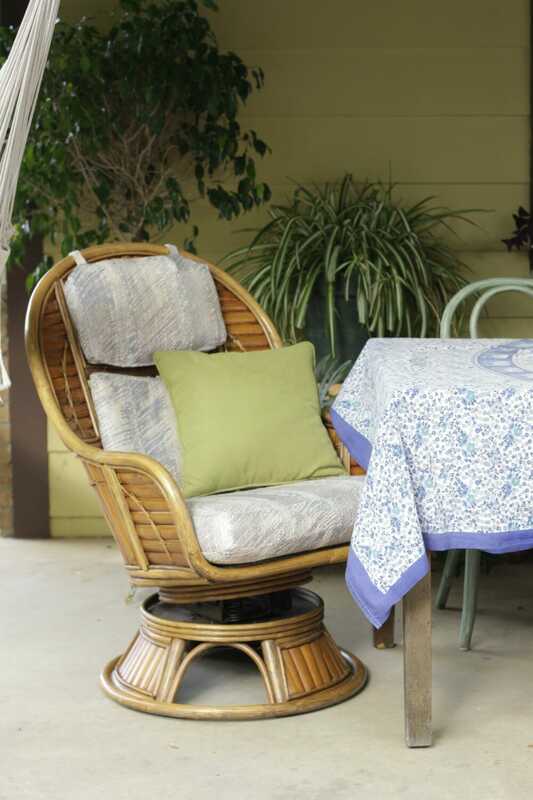 Wow, some great seating in this month’s features, and I could use a set of those swivel rockers your mom passed down. Good stuff! Excellent round up! I loved all the wonderful finds and those rockers! aren’t they all so good?!?! i love rosie’s home soooooo much! oh my gosh those acrylic chairs!! aren’t they awesome! her entire house is a dream. Amazing features as always! I am just crazy over Rosie’s house. It’s so flipping cool! oh i know- her house is amazing!